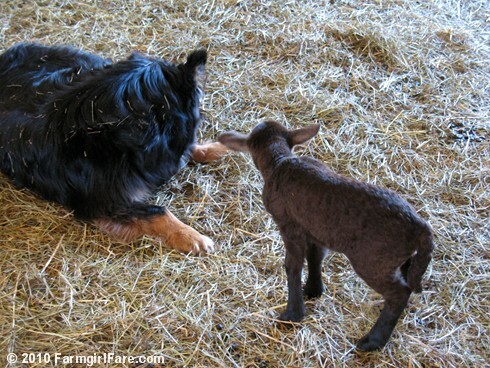 Farmgirl Fare: Monday Dose of Cute: Getting to Know You. . .
© Copyright 2010 FarmgirlFare.com, the multi-species foodie farm blog where world peace may be a pipe dream, but harmony among all farm critters just might be possible. Mostly. 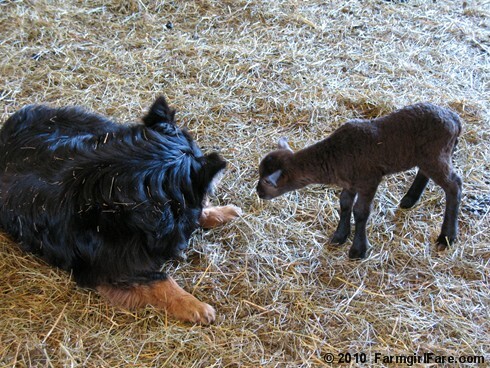 Lucky Buddy Bear must be in heaven with all the new lambs to love. Wonderful pictures - thanks for sharing them. Who knew I could love little lambs so much? I would sit with them all day long if I could! Thanks for sharing!! These photos capture so much communication between 2 species!!! 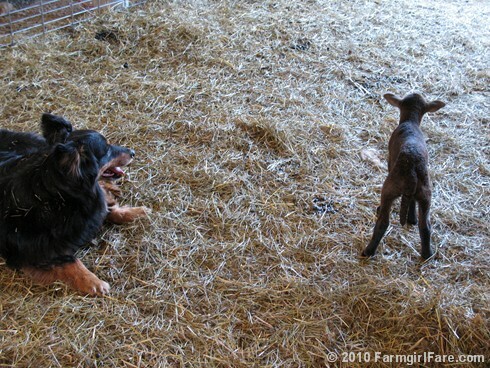 I just LOVE the way these photos show Buddy Bear turning his head away (and most likely averting his gaze) to put his new lamb at ease. 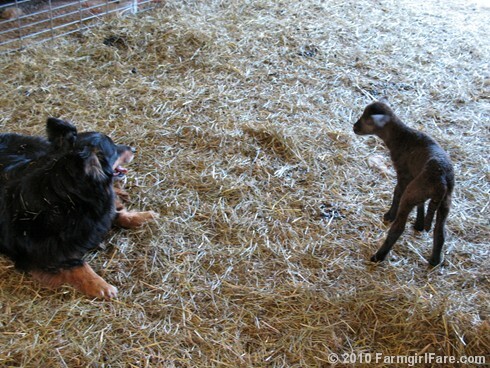 These are *classic* calming signals from a nurturing farm dog who wants to let his babies know that he is not a threat. What a good boy, that Buddy Bear! Such an adorable picture of this little lamb checking out Lucky Buddy Bear; I love it. Thanks for sharing these Susan!